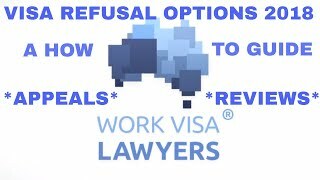 Work Visa Lawyers › News › All News › Have you had your Australian Visa refused or cancelled? The festive season can include negative surprises. 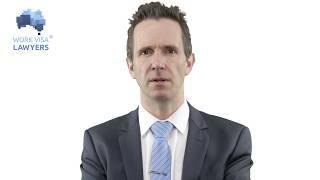 Immigration Lawyer Chris Johnston and our team of Registered Migration Agents can help lodge your appeal in time! All you need to know and do when your visa application is refused! Receiving a refusal notification for your visa application is stressful and places you in a wave of uncertainty. However, quick action is required to resolve your visa status if your visa application was lodged onshore in Australia. The same can be said if you received a Notice of Intention to Consider Cancellation (NOICC) for your current visa. It is best to quickly address the issues raised in the NOICC, than to challenge the decision to cancel your visa after the decision has been made. 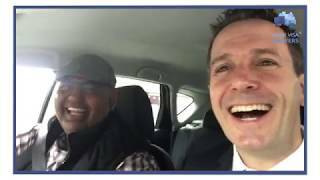 What are the common reasons for a visa application to be refused? What is a Notice of Intention to Consider Cancellation (NOICC)? When you receive a NOICC you will be invited to provide a response to the DIBP before a decision will be made. It is very important that you address the issues of concern during this opportunity to preserve your Australian visa status. There are various reasons for visa complications to occur. While some reasons are straightforward and valid, some complications arise from unclear presentation of documents or information to the DIBP. During my years of work I have had genuine and sincere visa applicants and visa holders who faced issues with their visas because of misperception by the DIBP or being placed in unfortunate circumstances. As mentioned the most important step in dealing with such an unpleasant event is that you need to seek migration advice from a Registered Migration Agent or Lawyer immediately. Getting the appropriate migration advice and planning your response early provides you with the best chance of overturning the negative result or news about your visa application or status.